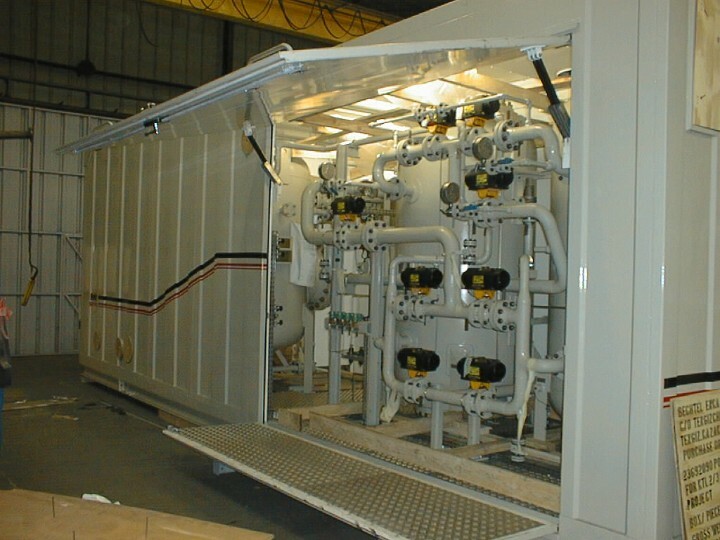 ‑PSA technology (Pressure Swing Adsorption), which briefly consists of the adsorption of the oxygen, the carbon dioxide and monoxide from a source of compressed air by mean of Carbon Molecular Sieves, whilst nitrogen is not adsorbed and reach the outlet as product. 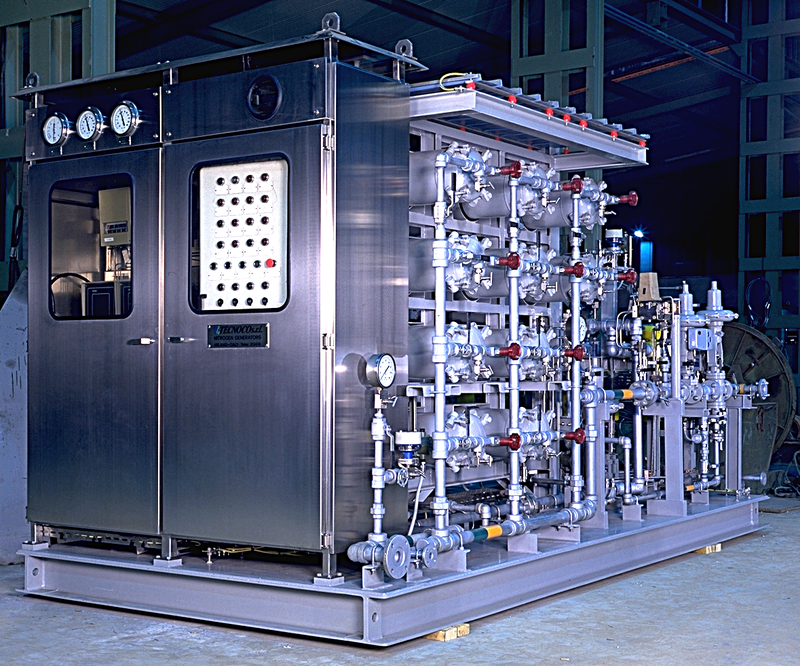 -Permeation technology, which utilises particular Hollow Fiber Membranes which, when fed with compressed air, permeate oxygen, carbon dioxide and the water vapours whilst nitrogen passes through the hollow fibres for their total length to the outlet as product gas. 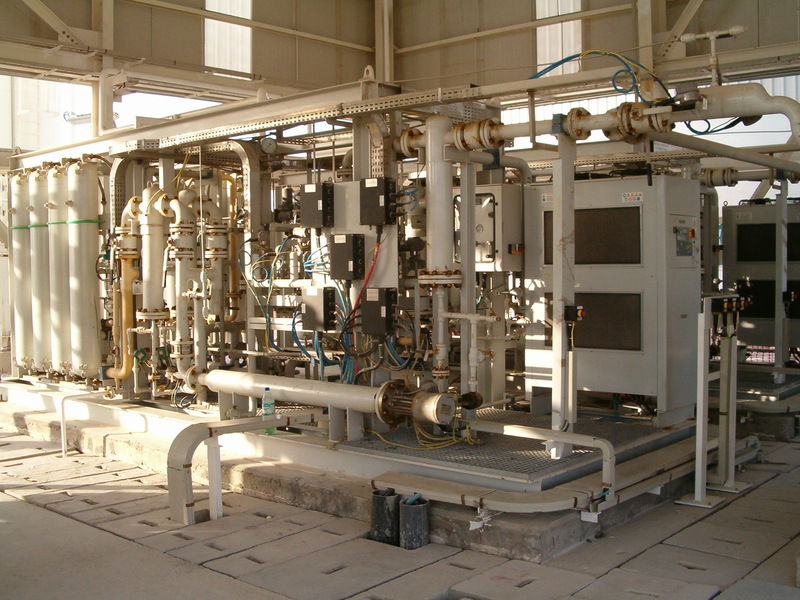 This technology is also used for gas purification system as CO24 .